Using AWS, we are able to offer our customers a lower cost, high-performance genomic-analysis platform, which can help them speed their time to answers. Illumina develops, manufactures, and markets integrated systems for analyzing genetic variation and biological function. The company’s primary data-analysis platform is BaseSpace Sequence Hub, used by global research organizations to perform data analysis for genome sequencing. As part of an overall cost-optimization project, Illumina began to run Sequence Hub using Amazon EC2 Spot Instances, which are unused Amazon EC2 instances available at a significant discount over on-demand prices. “Amazon EC2 Spot Instances proved to be robust and reliable for us, and we were excited about the savings opportunity,” Nelson says. By using Amazon EC2 Spot Instances, Illumina reduced its monthly compute costs from more than $400,000 to just over $100,000, while gaining more compute power. “This really helps our bottom line, especially as we’re the second-biggest customer of BaseSpace Sequence Hub,” says Nelson. 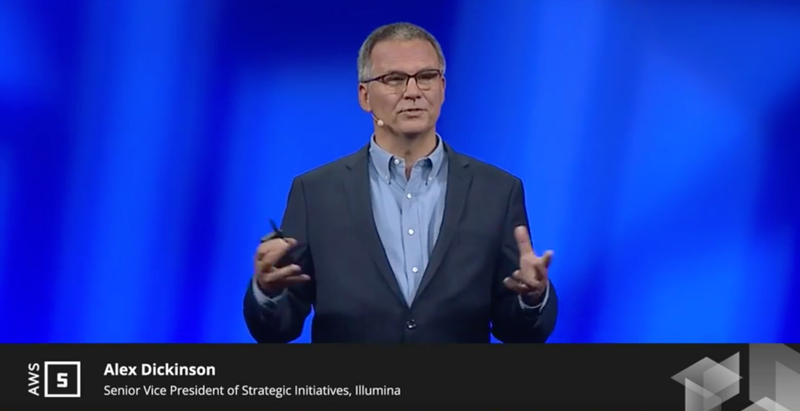 Illumina saved another $90,000 in monthly storage costs by tiering some of its data into Amazon S3 Standard-Infrequent Access (S3 Standard-IA). Learn how AWS can support genomics in the cloud.